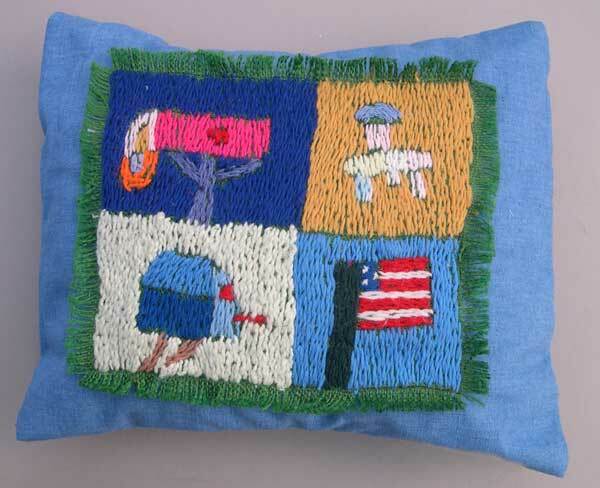 Betty spends much of everyday engaged in a wide array of fabric related projects. 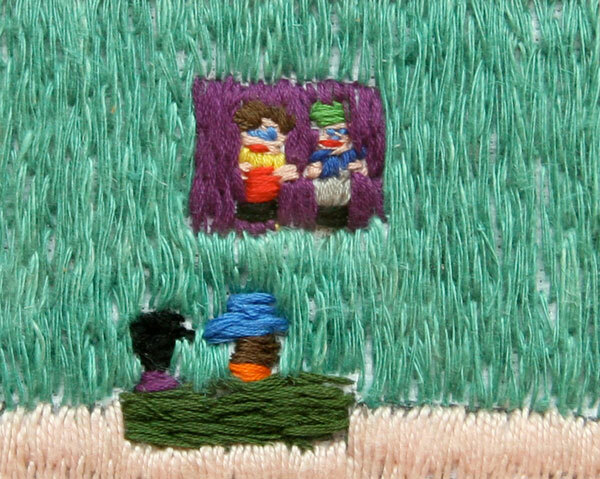 Her grandmother was a home economics teacher, and taught Betty at a very young age how to sew, knit, crochet, cross stitch, and embroider. 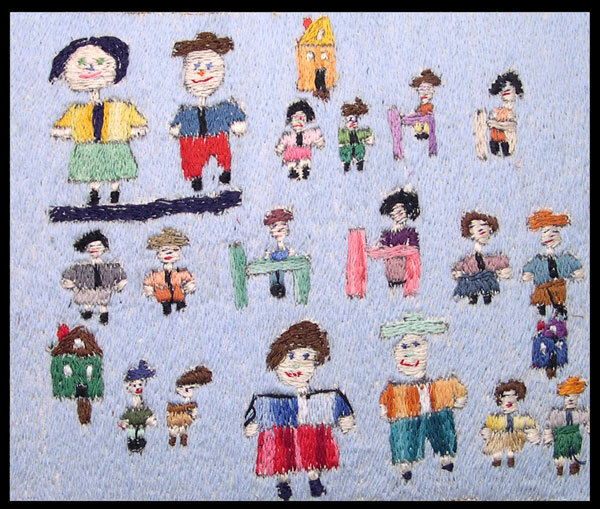 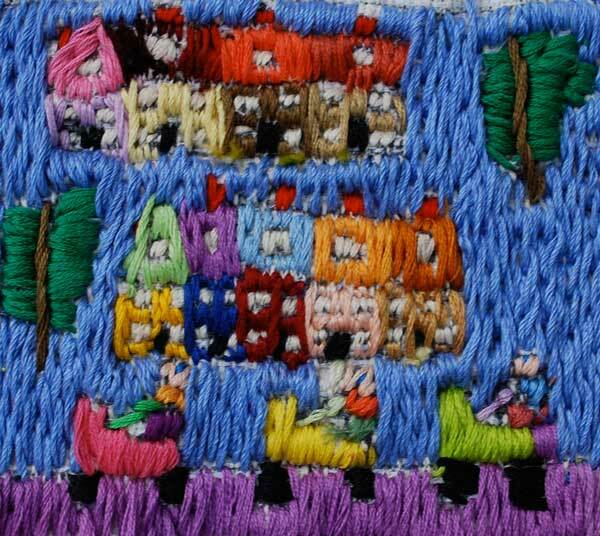 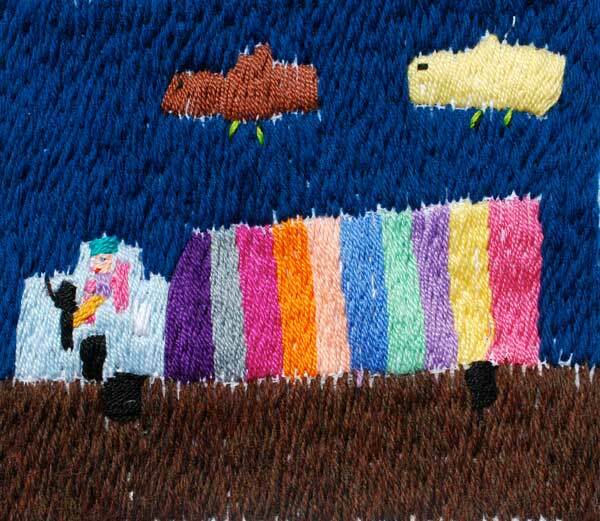 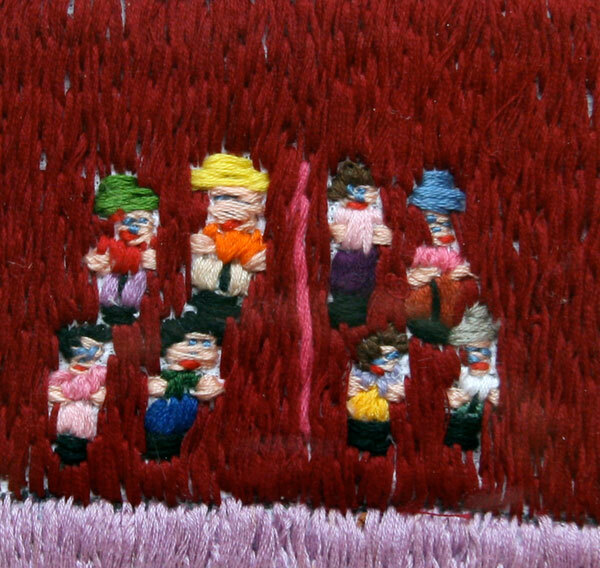 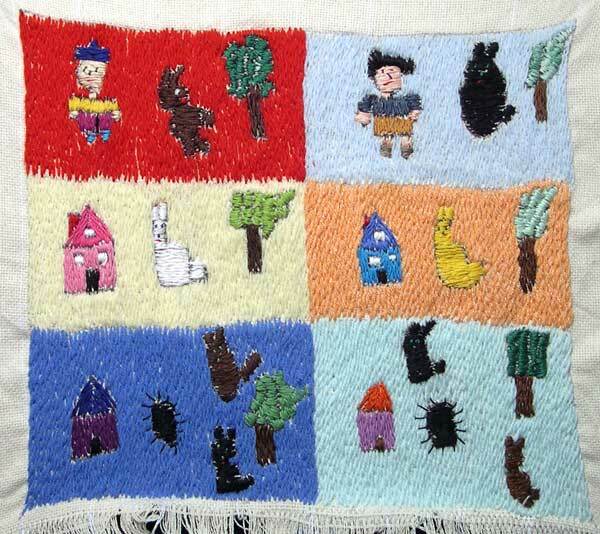 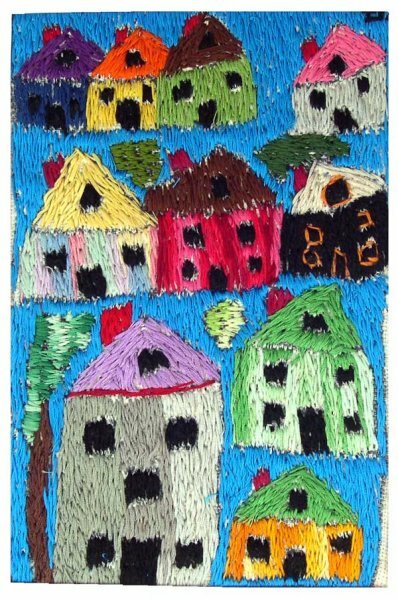 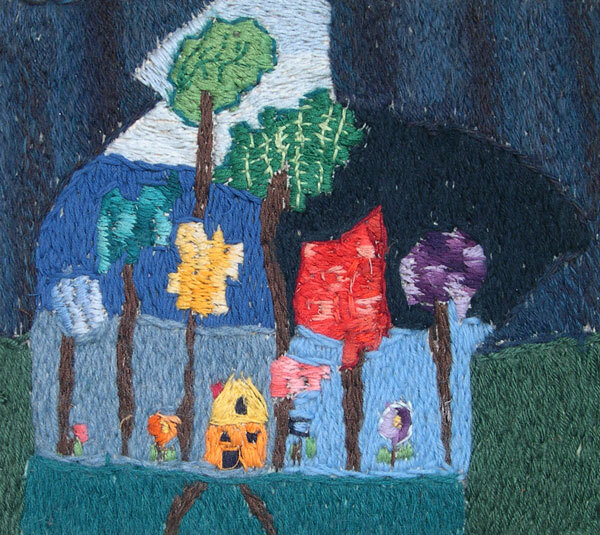 Betty translates subjects from every day life– houses, apple trees, flowers, fruit baskets, farm scenes, families, daily chores– into beautiful, framable embroideries. 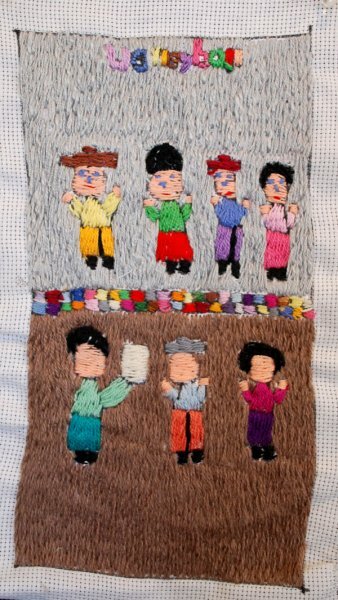 Betty enjoys teaching others how to embroider and also demonstrates that there is always time to learn something new; this year, Betty has taken up weaving.